Brigade holsters and accessories, Specializing in gun holsters, concealment holsters, western holsters and law enforcement holsters. Our holsters are made from top grade leather superbly crafted to produce high quality gun holsters & accessories. 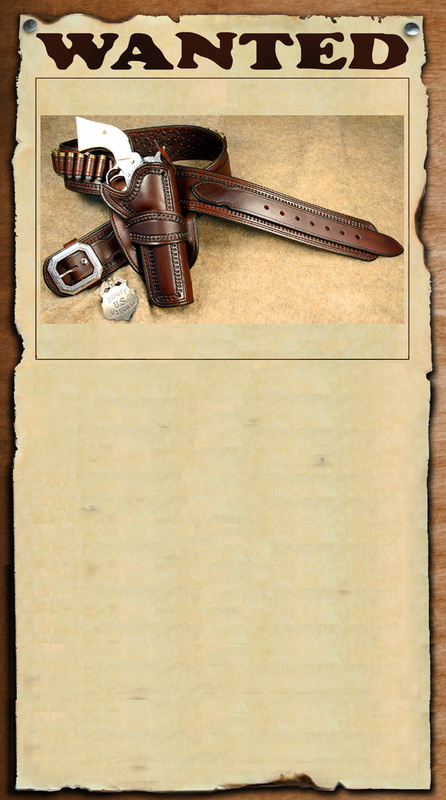 Hello, thank you for your interest in my custom western gunleather and western gun holsters for cowboy action shooting. Please understand, the effort and exquisite quality of old world saddlery and harness work I use to create these Western Gun Leather Rigs should not be confused with lesser quality, fast-production type of work. Few leathersmiths/makers still use this type of craftsmanship because it is labor intensive and requires a geat deal of skill. 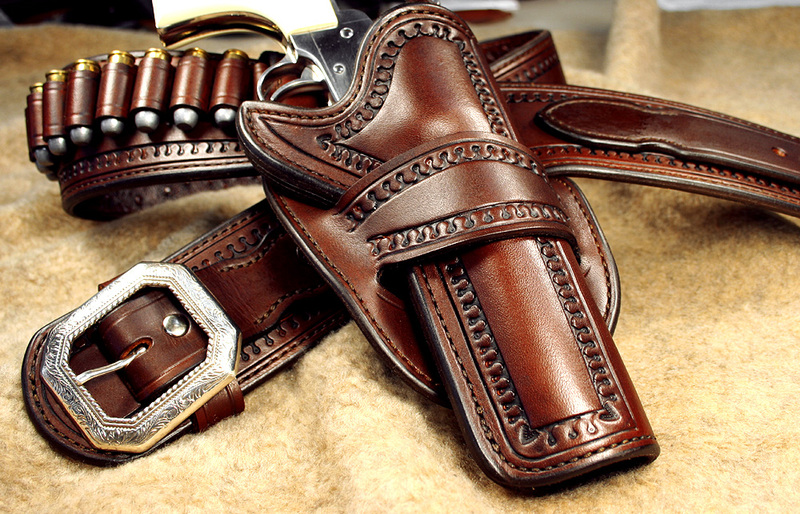 After I am dead, I want someone who sees my western gun belts and western gun holsters to say, "after all these years this rig still looks beautiful... who made this gun leather?" Troy Harp-Brigade GunLeather. I hope the photos illustrate the quality you will receive. Please feel free to call me with any questions you have. All of my western rigs are custom bench-made one at a time based on your needs. Please call with any questions. The Northfield is a favorite for quick draw shooting with a forward slanted holster design that some shooters prefer. 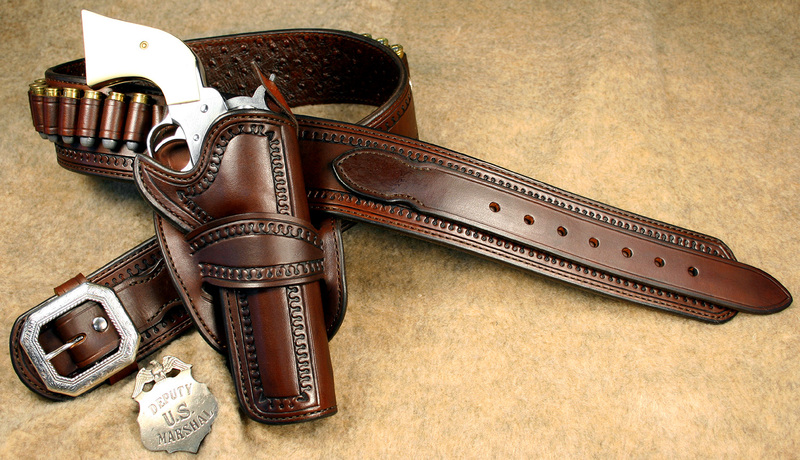 The straight belt is 2.75" wide and is fully leather lined with 24-30 cartridge loops (actual number of loops will vary with waist size), which are centered in the back to allow for both right and left-handed holsters. 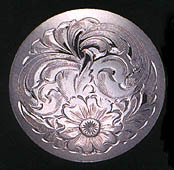 It is fitted with two solid sterling silver conchos at each end of the bullet loops and a solid brass nickel plated buckle to finish. We can fit most single and double action revolvers except black powder. 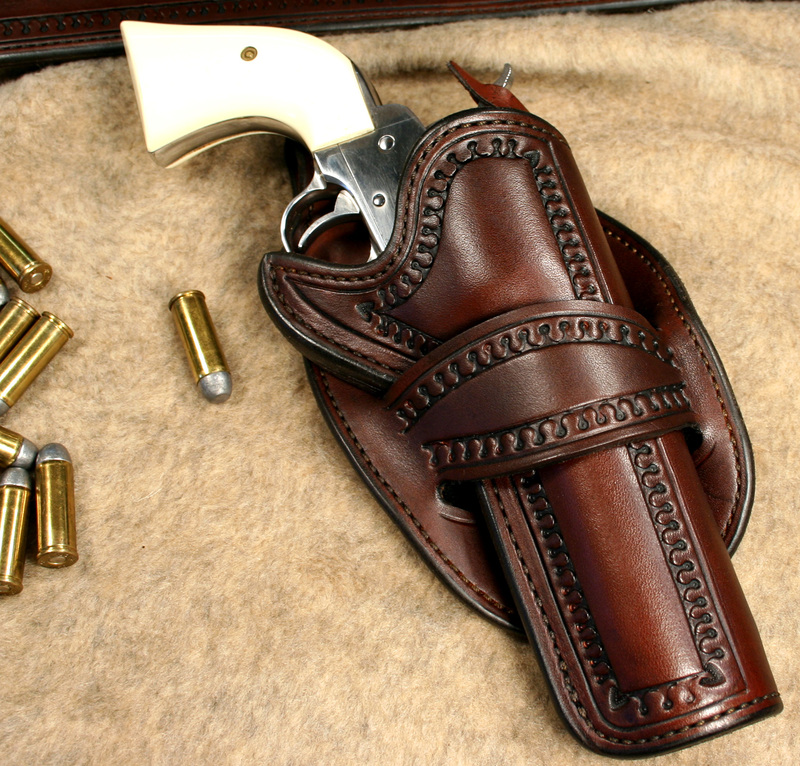 We can fit the holster to several .22 cal revolvers however, we are not able to stitch the bullet loops for the .22cal.